Kim and Greg Johnson co-own an AAMCO franchise in California, but for this married couple, Kim is the one with her foot on the gas, running the business; Greg works elsewhere full-time. “I guess the most interesting thing is that when Greg sees what I have accomplished in this field, he is amazed!” Kim reports. 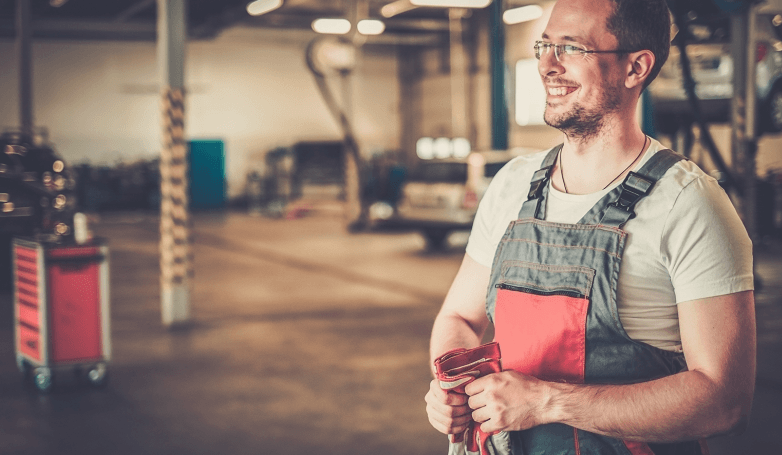 “When we go to parties or gatherings with friends, and he listens to me use auto repair jargon or recite transmission types for vehicles off the top of my head, he smiles because he knows that he would never be able to do that.” Another business bonus? The Johnsons’ son Cody loves to talk cars with Mom.. “I’m sure that is a pretty rare connection between mothers and sons,” she says. I have owned and operated the AAMCO service center located in Santa Cruz, California, since January 2005. My husband Greg and I had always wanted to start a business of our own. We had previously worked together for several years in Silicon Valley in the semiconductor industry. Greg worked in sales and customer service, and I served as executive administrative assistant to the CEO of the company. A few years later, I decided to leave the corporate world to start and raise a family. We always knew that with our combined skill set and our passion for the community, we would one day make our dream of business ownership a reality and leave a legacy for our children. Before joining AAMCO, I was a Jazzercise instructor and stay-at-home mother for our two children. Greg and I worked with a franchise broker in the Phoenix area, who spent hours interviewing us over the phone to determine what type of franchise would best fit our goals and needs. We spoke about various topics, including our strengths and weaknesses; what kind of work-week schedule we preferred; how much we were willing to invest in a franchise; and when the return on investment might take place. Following our discussion, the broker provided us with five franchise opportunities in various industries for us to consider. 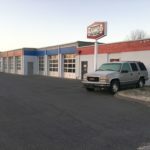 These options included a coffee shop, a juice/smoothie store, a closet-organizing service, a children’s bounce-house center and a transmission repair facility, which was AAMCO. After further research, we knew AAMCO would be the best opportunity for us. 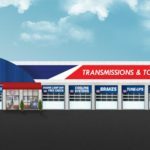 As the world’s largest chain of transmission specialists and the leader in total car care, AAMCO would fulfill an existing need in the local community that would provide customers with an honest assessment of their repair needs and exceptional customer service beyond their expectations. There will always be a need for automotive repair services, even in tough economic times. As it turned out, the economic recession came a few years after we opened our doors, but we always remained confident in our decision, and our business remained open while other local independent shops were forced to shut down. The funny thing is that neither of us had any experience in the automotive industry.That speaks volumes about the brand and our determination. With the assistance of a Small Business Administration loan, we spent approximately $250,000 on the initial investment. AAMCO connected us with a number of franchise owners who helped shed additional light on the franchise investment. These existing franchisees were instrumental in guiding us through the decision-making process. Once the agreement had been signed, AAMCO’s corporate headquarters provided us with an incredible support system. AAMCO’s proven business model truly demonstrates the strength of the brand. In addition, my father, who had owned his own heating and air conditioning business for years, helped give me a better understanding of how to work with the public. Finding qualified mechanics was not an easy feat. 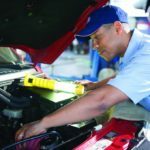 There was a serious shortage of skilled auto techs, and with safety being our top priority, we wanted to recruit and retain the best talent, to provide the best automotive service in town for our customers. Fortunately, as part of a franchise system, we were able to work closely with corporate to make sure we hired the best candidates for the job. I would encourage prospective franchisees to speak with other franchise owners of the same business to find out how long it took them to see a return on investment before deciding to take the plunge. It is also a great idea to check out the competition. If there are 10 other competitors within a 5-mile radius of the selected site, it will be important to think through what is going to make your business stand out. We have continued to experience an increase in business over the last 10 years, and we could not be happier with our decision to invest in an AAMCO franchise. Greg and I have paid off our SBA loan and are now considering opening another AAMCO service center within the market. Later this year, our son will also be joining our team and will assist with our local marketing efforts to drive new business, with a special focus on millennials. 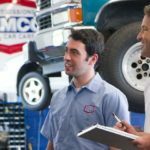 AAMCO is committed to training and investing in its technicians, managers and franchisees. Through AAMCO University, the company’s new training facility, in Newnan, Georgia, our team has honed their skills, which in turn allows us to provide event better customer service. We are very excited about what’s ahead for our business. To learn more about Aamco Franchise opportunities, download our franchise report or give us a call!